What would you recommend to anglers fishing in Tofino, British Columbia? 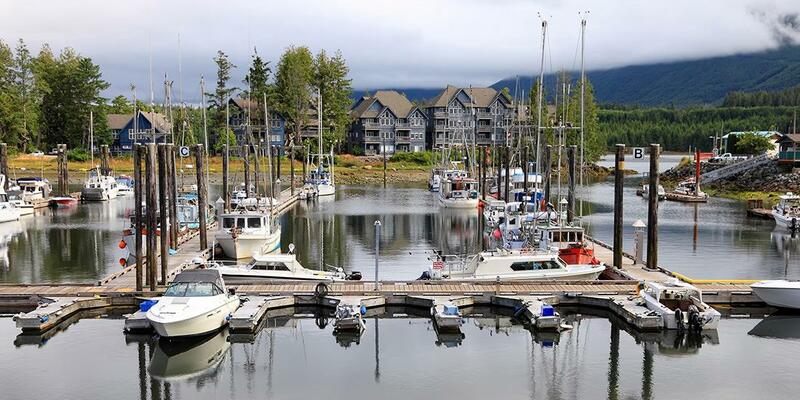 What would you recommend to anglers fishing in Tofino, British Columbia for the first time? Be prepared for big water (huge swells) so take your gravol or get your patch for motion sickness at least 24 hours prior to sailing. Both my sons got very sick and #2 couldn't stick it out. Very disappointing. Did not realize the kind of weather that happens there. Very foggy and damp all day long. Bring your best rain gear and heavy jackets with hoodies. You will appreciate them. Don't expect to be fighting a fish every 15 minutes. This is a long process and you may only get a couple of chances in a whole day of trolling. Don't be too proud to let your guide boat the first fish. They know the process and can make you very happy about that fish in the tub!! This was our first time fishing in Tofino and things could not have gone more smoothly, nor could we have had more fun - and, to boot, the natural beauty of Vancouver Island's west coast is second-to-none; anywhere. I and my two boys, ages 8 and 5, maxed out our daily limit within six hours, and that evening my family of six dined on our quarry - fresh halibut and chinook salmon - and I'm sure we'll fondly look back on our experience from our home in Chicago as we enjoy the rest of our catch which we're having Dan of Fishful Thinking in Ucluelet process (cold smoked; candied; and filleted) and ship to us. In short, it was a wonderful experience, never to be forgotten. Just sit back and relax. Trust your Captain because he knows what he is doing.it will be a great adventure. Go with Carmen on Miss Sea. Professional, skilled, fun , relaxed, great fishing experience. Will be my go to charter whenever I am in Tofino or Euclulet . In Tofino is a fishing service that can freeze or smoke the fish and let ship it to any destination.